I mentioned this bootleg a couple of weeks ago, but I really have to get back to this. I was able to take a closer look & listen to this album, and I have to admit that it is a beauty. The package is awesome. Nice artwork & 2 posters. 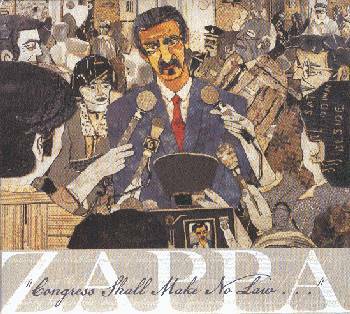 Data of Zappa's "Congress Shall Make No Law..." has been added to the United Mutations Archives. I do like this album. There's only snippets of music, and that's a pity, but I do enjoy listening to FZ's Congress speech a lot. A 2CD set would have been nice though... With the the bonus disc being all Synclavier material. Now THAT would have been something. 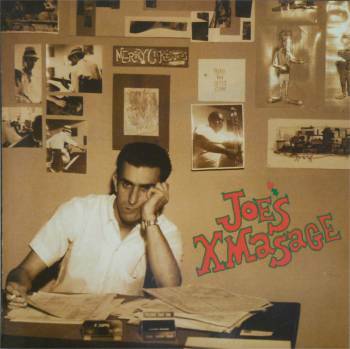 The counterfeit / vinyl bootleg of "Joe's Xmassage" has been spotted in blue vinyl ! 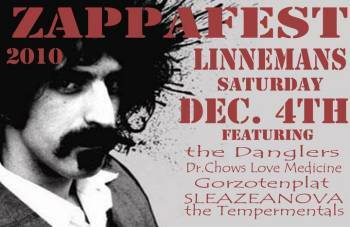 The 10th annual tribute to Frank Zappa on December 4 !! at 'Linneman's' 1001 E Locust St, Milwaukee, 8pm sharp. Five local bands doing all Zappa music. Here's a sample of what The Danglers can do with Zappa's music. The latest newsletter from Les Fils De L'Invention mentions two French bands that perform the music of Frank Zappa: Sinistre Foutoir and Guacamole's Green ! They both have been added to the Others Of Inventions list over at the United Mutations Archives. There's some really nice stuff over at their MySpace sites. Sinistre Foutoir goes for the 70's Zappa sound. A fat guitar sound with lotsa horns. Guacamole's Green takes a more jazzy approach. Here's a great story by Robert L. Campbell, he published it on the Saturn Newsgroup earlier today. Recently I acquired a few acetates that once belonged to Jimmie Davis. At various times Jimmie Davis ran roller skating rinks, skate shops, and record stores at different addresses on the South Side of Chicago. From the beginning of 1955 through some point in 1957 Jimmie and his wife Lillian operated a small record record label called Club 51, which we keep a page on at the Red Saunders Research Foundation. Some of these acetates were very cheap direct-to-disc recordings made in the back room of the Davises' record store, where vocal groups often made demos (not always intended for Club 51; a bigger company like Vee-Jay was known to send groups to the store to make their demos). These are often in truly dire sonics. Others, varying widely in sound quality, were made in a variety of other venues and seem to have ended up in the Davises' hands because the groups in question were making a bid to record for Club 51. A few, which naturally sound pretty good, were actively considered for release by Club 51 (a label that put out just seven official singles) and even circulated in small numbers to DJs. person responsible for the demo wrote them in; other times the labels were left blank. Among the acetates with blank labels provided by the Gould-Moody company, a supplier, was one that featured a Wurlitzer electric piano on both sides. I picked this one up on the assumption there weren't terribly many musicians in Chicago playing electric piano during the Club 51 years, so it might be by someone interesting. Sure enough, the acetate is by Sun Ra and various members of an early Arkestra. The other side consists of a fairly polished performance of "Out of Nowhere." Here Ra, Evans, and Barry, are joined by John Gilmore, soloing on tenor sax, Pat Patrick, soloing on baritone sax-then a muted trombone (probably Julian Priester) helps to take the piece out. The horns are a touch recessed, and the Wurlitzer a little too prominent (some of bass notes are, well, formidable), but the recording is really not bad, even as heard through some acetate crackle. My guess is that in the fall of 1955, after buying an early-model Wurlitzer (the "electronic piano" was mentioned in ads for Sunny's appearance at the Grand Terrace Ballroom, in October 1955), Sunny gave the demo to Davis in the hopes of a getting an offer from Club 51 to record his early-model Arkestra (we know that other jazz combos submitted acetates to the label). None materialized, and Sunny and Alton Abraham went on to open Saturn Records instead. There will be a private release, limited edition promo-CD and DVD of the concerts in a few weeks. 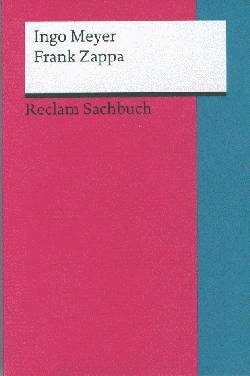 If you want a copy write to roman@daehn-bruhn-und-schmitz.de or look for news on www.daehn-bruhn-und-schmitz.de. 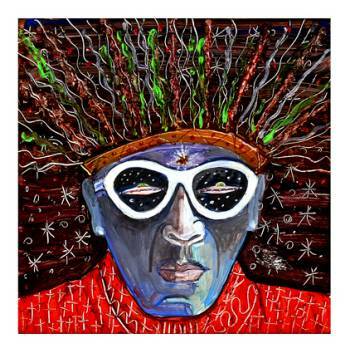 Norton Records will publish a book of Sun Ra science fiction poetry and prose. It should be available in January. Keep an eye out on http://www.nortonville.blogspot.com. Yes, you heard it right. 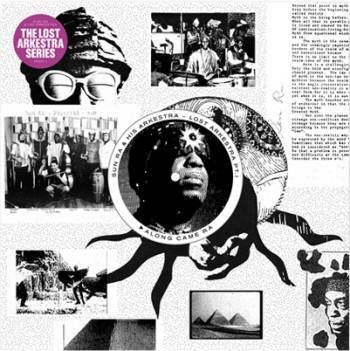 The three new Sun Ra albums that have been released on Norton Records are vinyl only. "Strange Worlds In My Mind", "The Sub-Dwellers" and "The Outer Darkness" will only be made available on vinyl (and as downloads as well). They will not be released on CD !! 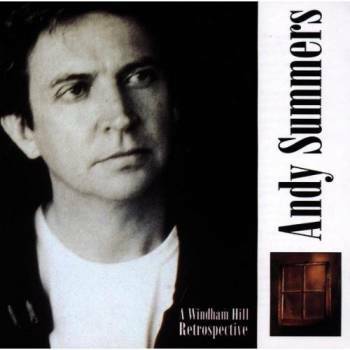 In 1991, Ed Mann and Chad Wackerman contributed to Andy Summers' "Charming Snakes" album. A couple of track can be found on the above mentioned 1998 compilation. 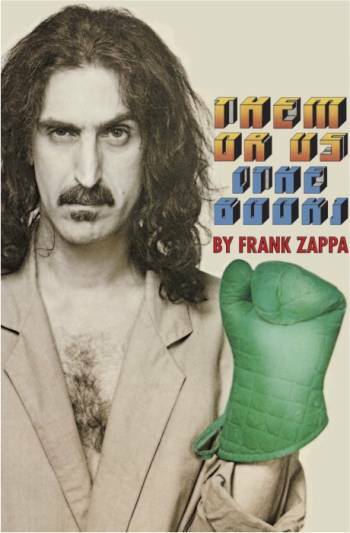 German Reclam Verlag has published a book on Frank Zappa, written by Ingo Meyer. "Reflections In Blue" with "Hours After" on a 2LP set, and also "Mayan Temples". The latter one with a new album cover. sun ra: "reflections in blue" + "hours after"
Prince came back to Belgium earlier this month. This time, he performed in Antwerp (and he did another aftershow in Brussels). Not much has been heard from Andre Lewis after his period with Zappa in the late seventies. He did make four solo albums (as Mandre) between 1977 and 1980, but that's about it. This changed when Rush Hour re-released his "4" album earlier this year. Even more recently, Rush Hour released 'Solar Flight' on 12" with a remix of the Mandre composition. 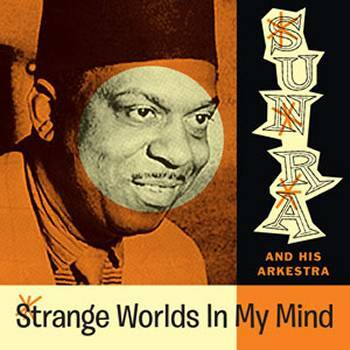 Art Yard will be releasing a new Sun Ra album very shortly. It's called "Space Probe" and is said to contain historical material!! "An unusual record, mostly recorded in the early ‘60s with Ra, Marshall Allen, John Gilmore, James Jacson, Nimrod Hunt and Thea Barbara that explores stripped back forms and colour combinations - very far from jazz - and includes the extraordinary Conversation Of J.P. for piano and percussion. 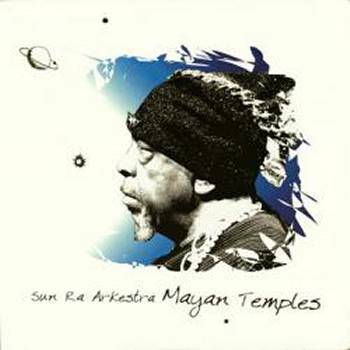 This and the opening track - probably recorded in 1970 - an 18-minute Moog solo, made just after Ra had newly acquired the instrument and was putting it through its paces, would make this an essential release in the Sun Ra canon – even without the rest of this excellent CD." 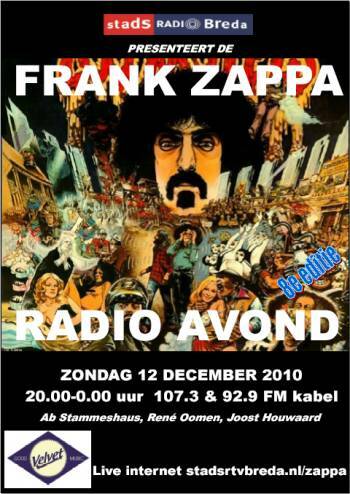 2010/12/12 "Frank Zappa Radio Avond..."
on Dutch regional radio 'Stadsradio Breda', also broadcast on the internet. Do you remember the inspiring album cover of Alan Jenkins And The Thurston Lava Tube's "Free Surf Music no.1" from 2000? Or maybe your recall that the album featured their version of Zappa's 'Lumpy Gravy'? Volumes 1 and 2 of "Free Surf Music" have now been put on one single CD. It got mentioned a couple of months ago, but now they're finally out: the three new Norton Records Sun Ra albums. For the moment only available on vinyl. 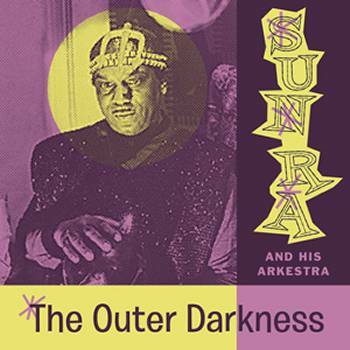 Covers and tracklists have already been added to the Sun Ra entry at the U.M.Archives. The AMT is not the easiest band to follow. They tour a lot in lots of different permutations but they also release records on various labels all over the world. The above mentions "The Night Before The Sky Fell In America" is a download-only album on the Argentinian Mandarinas Records label. The official AMT discography states that it was made available as a CDR, but I didn't find any info to confirm this. Anyway, this release is just one track: a 39-plus-minute version of 'Pink Lady Lemonade (Explosion of Love)'. 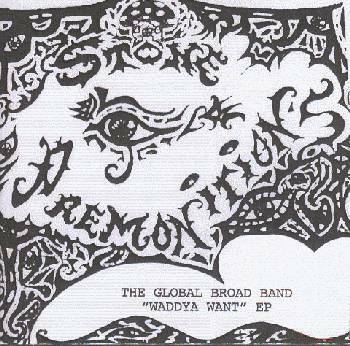 A couple of days ago, I received a copy of The Global Broad Band's "Waddya Want" EP. Unfamiliar with the band or with the Stone Premonitions project, I didn't really know what to expect. Written and performed by The Reverend Rabbit & Paddi (= Tim Jones & Paddi Addison), "Waddya Want" offers three fine tracks. 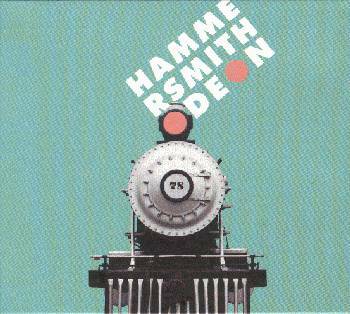 These are up-tempo, rock songs with great guitar work and fine drumming. Comes with some heavy social commentary. Here's a YouTube movie of "Free Palestine", one of their other projects. It should give you a good enough idea of what the band sounds like. 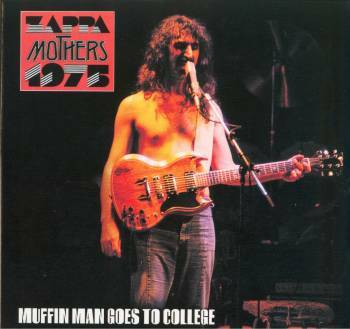 Another Zappa CD-bootleg set has been spotted: "Muffin Man Goes To College". Here's another little Zappanale movie. Kommissar Hjuler Und Frau bring you their version of Zappa's 'Sofa no.2'. Dutch band B'wana Dik is back!! I saw them in concert a couple of times around 2003 / 2004, but I just got a message that they'll be playing in Eindhoven tonight (26/11). FYI, B'wana Dik plays the music of Frank Zappa. Collectif LeBocal will be performing at the Jazz Aux Carrés festival. They will also be performing some pieces from their forthcoming album. Here's Frank Zappa's 'Dancin' Fool' by the Marching 110 marching band!!! "Due to circumstances beyond my control the rest of the URR tour has been cancelled for Nov... heartfelt apologies to everyone..."
"On February 26, 2011, in Tulsa, OK, James will kick off a series of intimate and unforgettable performances across the US. Band members for the 2011 tour will include James's close friends: Mike Landau, Jimmy Johnson, Jeff Babko, Chad Wackerman with additional players and singers to be announced soon." My friend Till shot this little absurd movie. "UFO ATTACK IN GRAN CANARIA: THE GOBLIN KINGS VERSUS THE KILLER HAND"
Till says that it was inspired by the Science Fiction Opera 'Help, Help The Globolinks'. I guess I have to check that one out as well. "Terry Bozzio’s Master Class Rhythm 1 gives you access to view all 7 online drum lessons on DrumChannel.com, including a workbook download. This is a Beginner level class." "Beginner, 7 lessons, 1 hour 56 minutes, 3 month subscription." The Dutch Kindred Spirits label will be releasing a series of four 10"-EPs with unreleased Sun Ra material. Straight from the Art Yard vault. AHHH, I LOVE the Christmas gigs! This is going to be a great one, folks! I've written some new arrangements for the occasion and the band sounds better than ever. Our dear friends of the Zappa In France blog have posted about the Zappa/Ponty concert that took place in Valbonne in 1970. An audio recording turned up about a year ago and got distributed through the Zappateers website. This week's special: episode four - o - five of the Dwalmacat radio show. LEE SCRATCH PERRY – International broadcaster feat. Roots Manuva & L.S.K. 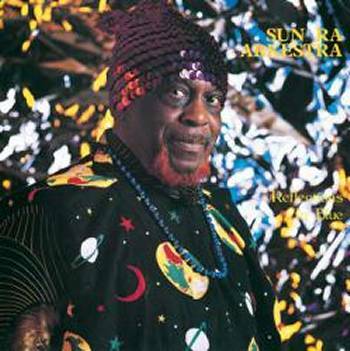 The italian Sagittarius label released a 1986 Sun Ra concert on vinyl. In a limited edition of 200 copies! And the first 26 numbered copies have different artwork and a different color insert, plus stamps on back cover. A very nice cover, by the way. November 28, Sunday-afternoon, 'Zaal 100' in Amsterdam will host another Brokkenmiddag (Brokken Afternoon). This time with the Brokken Orkest, and with Alan Purves (percussion) & Ernst Reijseger (cello). Adding data to the United Mutations Archives, here's the cover of the recent Them Or Us (The Book) rerelease. Published by Pinterandmartin in the UK. Portugese band Zappanoia and German band Aufrichtiges Zappa will be celebrating FZ's 70th birthday with a concert at the katakumbas do Lyceu Camões, Praça José Fontana in Lisbon, Portugal !! Volume four of Scott Parker's "The Recordings Of Frank Zappa" focusses on the years 1973 - 1974. 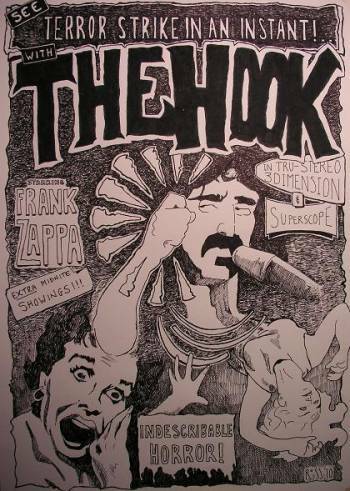 It's subtitled "The Hook" (and the fine cover art is by by Robert Ross). Zptkablog, as they say, will give you the latest info on Zappatika, the English/Dutch band that is known to perform a Zappa tune as well, every once in a while. The Sun Ra Arkestra and the West Philadelphia Orchestra (WPO) are performing a concert tonight, 2010/11/21, @ 8:00pm at 'The Rotunda' in Philadelphia. 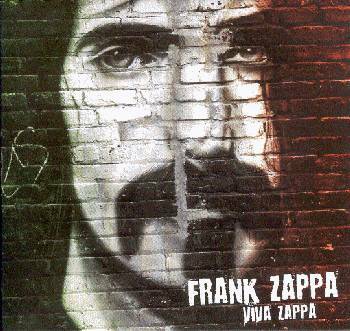 Not brand-new as this title got released a couple of months ago, but here it is: "Viva Zappa", presenting the 1984 10 13 Padova, Italy concert. And before you start asking for download links, please note that there are no download links. This is just a little piece of info. If you're looking for Zappa concert recordings, check out the Zappateers website. If you're looking for the real thing, go to zappa dot com and get yourself the new Hammersmith Odeon album. Napoleon Murphy Brock with Dähn, Bruhn & Schmitz GBR, Live in Hamburg on 2010/11/13. Thursday, November 25 2010, Pierre Vervloesem's CACA project will be performing at Recyclart in Brussels. 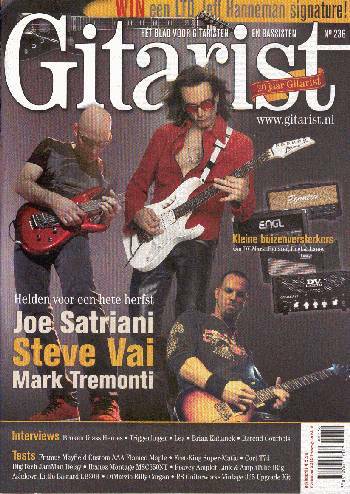 Issue number 236 of Dutch Gitarist magazine has Joe Satriani and Steve Vai on the cover. The mag includes a 2-page Steve Vai article, and a 1-page Joe Satriani interview. Steve talks about VaiTunes, and there's some info on the Groningen Steve Vai Festival, while Joe is asked about his new album. 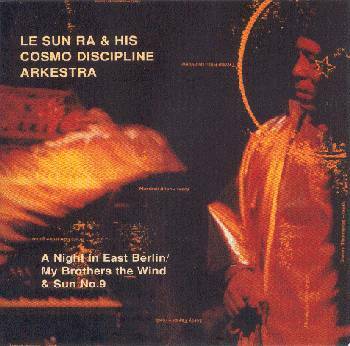 June 28, 1986, Le Sun Ra & His Cosmo Discipline Arkestra landed in East Berlin. Straight from outer space, Sun Ra and his Band showed the world what music sounds like on the planet Saturn. Originally released on his own label (on cassette only), and on vinyl (on Leo records) in 1987, this remarkable concert got re-released on CD in 1995. Also on Leo Records. The 1995 CD-release does have a bonus track: 'My Brother The Wind & Sun No.9'. Previously released on an obscure Saturn release, this 20-minute piece has been labeled as originating from a 1988/01/30 Knitting Factory concert. Data & picture have been added to the United Mutations Archives. 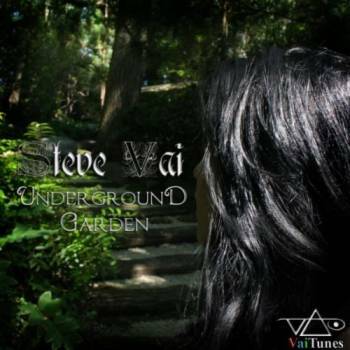 It looks like Steve Vai's VaiTunes Project is really going somewhere. 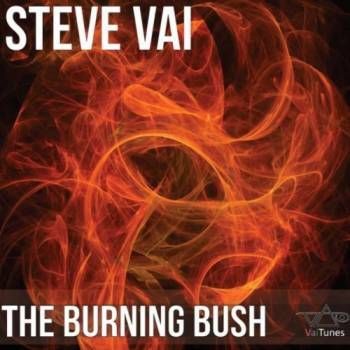 Through VaiTunes, Steve is offering new (or alternate) material on a separate basis. The two latest additions are "Underground Garden" and "The Burning Bush". Both tracks are available as downloads, or (for the freaks) as one-track-CDR-on-demand. And there's loads of extra Steve Vai news on his website. 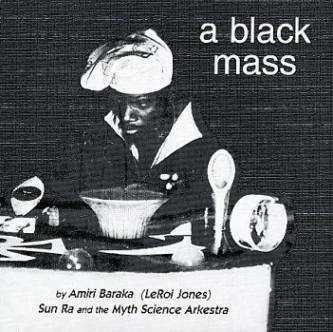 The Amiri Baraka / Sun Ra collaboration / LP, "A Black Mass", got released on in 1968. It got re-issued on CD on the Sonboy Records label in 2000. Since it has been out of print for a while, Sonboy will be repressing / re-releasing the album! "The play A Black Mass was written in Harlem in 1965, much of it probably at my desk at The Black Arts Repertory Theater School at West 130th Street and Lenox (now Malcolm X. Blvd.). It was first performed at the RKO Proctors Theater, Newark as a companion piece to J-E-L-L-O, a satire on the Jack Benny show where Rochester turns militant. The reason it was Newark is because late in 1965, I decided to walk away from the BARTS because with the mounting internal strife, the phenomenon of 'diminishing returns' had set in so disruptively that the vision of bringing Black Art into the community and creating what we were later to understand as Cultural Revolution could no longer succeed at that venue. Black Mass shows the heavy influence of the Nation of Islam even though, after Malcolm's murder, I became alienated from that Nation, essentially as a means of registering my allegiance to Malcolm. Even the Jacoub story I had gotten from Malcolm when he was still more directly motivated by Elijah Muhammad's teachings. 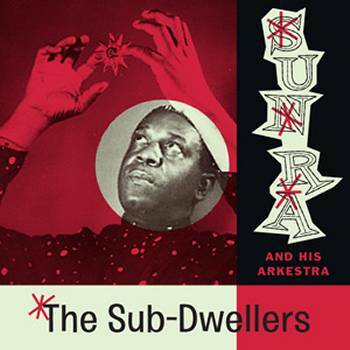 Sun Ra was one of the most consistent and supportive artists associated with the BARTS. He was there several days a week, teaching all who would listen. At any rate, when I conceived of doing Black Mass to music, Ra was the only musician in my mind. Not just because of the 'otherworldliness' of the tale, but the sensuous 'outness' I knew Ra, with his Myth-Science Arkestra, would bring, which I felt would give a material life to the text. The work was recorded in The Spirit House, on the first floor theater we had created by tearing down the walls of my rented one-family house, just as we had done at The Black Arts. With Sylvia Robinson (Amina Baraka, a Newark artist who would shortly become my wife), Yusef Iman (a BARTS original), Newark's Marvin Camillo (he and Yusef are both gone now), and Barry Wynn (Amun Ankra), we tried to recreate the staged version which we had just done. And while there is something to be desired in our collaboration, the recording stands not only as a! record of what The Black Arts was doing, but points I think into the future of the spoken word and the possibility of expanding what can be recorded and what kind of collaboration between word and music can come. The theme 'The Satellites Are Spinning' is the dramatic musical mise-en-scène throughout, though close listeners will hear some of the music which characterized the Myth-Science Arkestra rising and falling through the mainly improvised music-drama. In total, the music is rich and evocative by itself. Heard with the text of The Black Mass, both connect and extend each other with a dramatic gestalt of Myth-Science music and the mythologized history deepens our emotional perception of what is being told. For me, re-heard with the benefit of study and another kind of thoughtfulness, it even projects a rationale that's more scientifically based, 'search-lighting' some evasive facts of human history as well as projecting the premise which I have long held, that art is c! reation, and that we must oppose the 'creation of what does not need to be created." I saw The Han Bennink Trio in concert at 'De Singer' in Rijkevorsel (Belgium) last week. I had never seen Han Bennink live before, so this was a fine opportunity to catch Han (and his new trio). Besides Han (on drums), the trio consisted of Joachim Badenhorst (saxes) and Simon Toldam (piano). February 27, 1984, the Sun Ra Arkestra performed at the 'Orpheus Theatre' in Athens, Greece. One year later, the first part of the concert, "Live At Praxis '84 Vol.I", was published on Kostas Yiannoulopoulos' Praxis label. Volumes II and III came out the subsequent years on the same Greek label. In 2000, however, the complete recording found its way to a 2CD set on the Leo Records label. Data & pictures have been added to the United Mutations Archives. 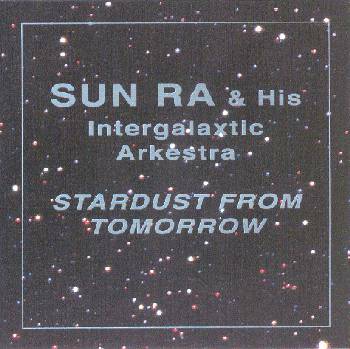 Adding another album to the United Mutations Archives, here's the 1996 release "Stardust From Tomorrow" on the Leo Records label. 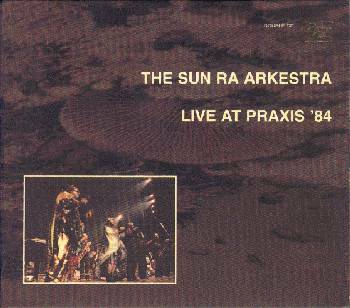 This 2 CD set takes us back to a 1989 Austria concert where Sun Ra and his Arkestra treated the listener to an impressive mix of chaos, improvisations and some classic Ra humm alongs. Exceptional moment: 'Discipline 27' includes a violin solo by June Tyson! Adrian Belew is performing in Erfurt, Germany, today, ending a short European tour. 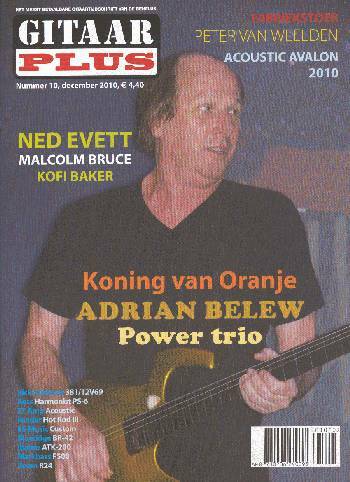 The above picture shows Adrian on the cover of Dutch Gitaar Plus magazine, December 2010. The magazine includes a 4-page piece on Adrian (interview by Nicky Moeken). American guitarist and composer Dennis Rea has lived in China and in Taiwan from 1989 and 1993. He has also done numerous concerts and tours in Eastern Asia, introducing modern jazz and experimental music to curious audiences. We know Dennis Rea from his work with rock band Moraine and with the Iron Kim Style free jazz ensemble. 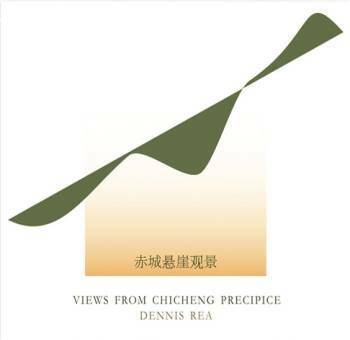 On "Views From Chicheng Precipice" however, we learn to know another side of Dennis Rea. Meet his tribute to the music of the far east. "Views From Chicheng Precipice" presents 5 beautiful pieces. The first one is composed by Dennis. The other four are adaptations of traditional Taiwanese and Chinese melodies. This is very nice. It's obviously done with a lot of respect and love for the music of the far east. Each composition / arrangement is instantly identifiable as an eastern piece of music. It's only upon closer listening that one detects that it's actually played on a combination of eastern and western instruments. The first piece, 'Three Views From Chicheng Precipice" slowly moves into an almost experimental and free improviation. A great transition. Transcending cultures. The duo of trombone and chinese flute in 'Tangabata'. The nice balance between the percussion and the melody in 'Bague'. Below YouTube video is an audience recording of 'Kan Hai De Re Zi' as performed by Dennis Rea. 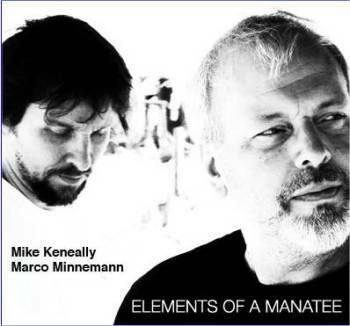 Mike Keneally has made "Elements Of A Manatee" available as a download-only album from Exowax recordings. "Elements Of A Manatee" is an audio version of the DVD that was included in the recent "Evidence Of Humanity" set. 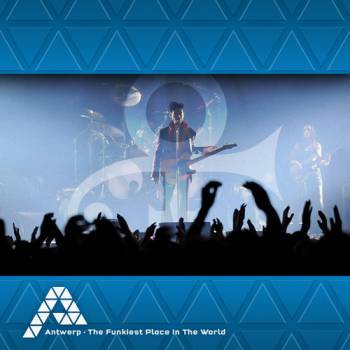 It's an audio version of the Mike Keneally & Marco Minnemann improvisation that was included on this DVD. In the meantime, MK is still touring with Joe Satriani. and Mike will be doing another live Ustream video chat on November 21. And there's more as Dutch Radio 6 will be airing parts of the Steve Vai festival that was held in Groningen, NL, recently. "P.V.PRESENTS" stands for "Pierre Vervloesem Presents", and it's a little part of the Off Records Label. Pierre Vervloesem is a Belgian guitar player, composer and producer who makes all kinds of beautiful and interesting music. OPV005 : John Koening - a strictly limited edition of an extremely rare recording of the fantastic John! Each year, the Zappanale festival ends with a jam on the main stage. Fun, although mostly very chaotic. As the tradition wants, the 2010 Finale had members from various bands on stage, including a number of rather familiar faces. Arf president Thomas Dippel is looking for video footage of the finale. Is there anyone out there who video-taped the whole thing? 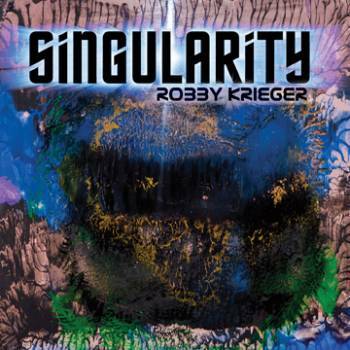 Arthur Barrow co-wrote and co-produced the latest Robby Krieger album, "Singularity". 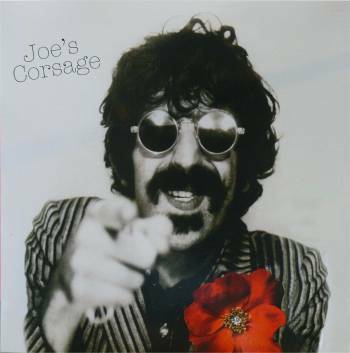 And besides Arthur Barrow there's quite a number of ex-Zappa bandmembers contributing to this disc: Tommy Mars, Vinnie Colaiuta, Sal Marquez, Walt and Bruce Fowler and Albert Wing. There's great variety on "Singularity": there's two solo guitar / flamenco pieces (both intros to other compositions), there's some bluesy slide guitar tracks, a couple of jazzy tunes, and even a george benson-esque track. The YouTube movies of the recent concerts that Robby Krieger did with Tommy Mars and Arthur Barrow had me hoping that the album would contain a bit more free and improvised stuff. Still, it's a pleasure to hear both Arthur Barrow and Tommy Mars in action! 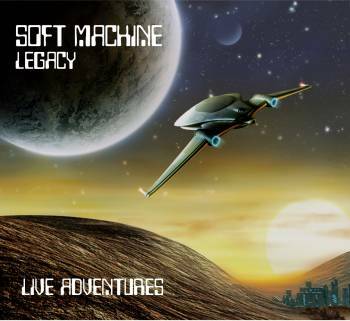 Seeing the Soft Machine Legacy live at Zappanale in 2006 was a revelation for me. I was familiar with the band's first releases (up to the "Seven" album), but I didn't really know what they had been doing lately. The Zappanale (August 2006) line-up consisted of John Etheridge (guitar), John Marshall (drums), Theo Travis (sax) and Hugh Hopper (bass), and they made an everlasting impression. "Live Adventures" captures the band in the same spirit. This new MoonJune album presents live recordings from October 2009. The late Hugh Hopper has been replaced by Roy Babbington, and the band still mixes older, familiar material with new compositions (at least to my ears!). The band has been around since the late sixties, and some of these compositions might be over thirty years old, but "Live Adventures" sounds as fresh and contemporary as it can get. Timeless might be a better word for it. This prog rock / fusion at the highest level. If any other band would display such a high quality in musicianship and composition, they'd be the discovery of the year. Superb. And, yes, again great guitar playing by John Etheridge! 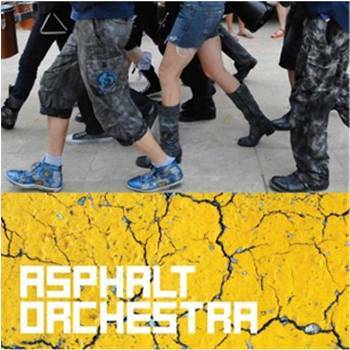 The Asphalt Orchestra is a U.S. 12-piece marching band. The spectacular thing is that these boys and girls don't just march around while they're playing music, they're doing it with a lot of show, AND they play some great contemporary material at the same time. And their name fits the package perfectly. Check out the video and watch it to the end. There's a couple of nice surprises. Napoleon Murphy Brock will be doing two concerts with Dähn, Bruhn & Schmitz GBR in Hamburg shortly. My pal Luuk is back from his little Roundhouse journey where he attended the Zappa Festival. It looks like he had a good time. A couple of weeks ago, Dutch TV show "Vrije Geluiden" had invited the Konrad Koselleck Big Band. To my suprise, one of the songs they performed featured Claron McFadden. I have seen Claron McFadden with "Over De Bergen", the Corrie van Binsbergen / Josse De Pauw project, and this lady sure has a great voice. Tohpati might be known to you as the guitar player of simakDIALOG. Since 1998, Tohpati has also been releasing solo records. His latest project is called Tohpati Ethnomission and it has a brand-new album out on MoonJune Records. "Save The Planet" combines beautiful electric and midi guitar fusion lines with indonesian percussion. It's a treat. 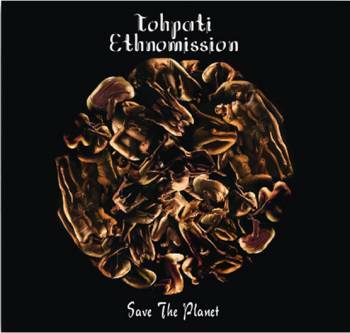 Tohpati has mentioned John McLaughlin, John Scofield and Robert Fripp as his influences, and that's exactly what you should expect when you give Tohpati Ethnomission a try. This is top jazz-rock. What stands out for me on this album is the excellent rhythm section: percussionists Demas Narawangsa and Endang Ramdan plus bass guitarist Indro Hardjodikoro lay out a very exotic, energetic basis. Combined with the guitar of Tohpati, at its best moments in unison with the suling (wooden flute) of Diki Suwarjiki, Tohpati Ethnomission takes off for an impressive journey. Here's Jumpy's little "The Muffin Men & Zappanale 2010" movie. BTW, the 'contract' & '10 euros' jokes refer to a certain celebrity that wanted to get paid for every song that he performed with a band at Zappanale. Ties Mellema has been awarded "De Nederlandse Muziekprijs" (The Dutch Music Award), the most prestigious prize in The Netherlands. Ties Mellema performed on last Sunday's "Vrije Geluiden" tv-show. The second piece that he performed was 'In The Beginning', a composition by David Dramm, but actually a tribute to Prince. Ties added that for his latest project, he has asked various composers to do something with the music of Prince. Ties says that it was a choice not to work with arrangers, but with composers. The result are / will be a set of new compositions, inspired by Prince. As a first, here's David Dramm's 'In The Beginning', performed by Ties Mellema. Hanggai is a Chinese-Mongolian band that mixes western rock music with traditional Mongolian melodies and throat-singing. Reason enough for me to watch the excellent Dutch tv-show "Vrije Geluiden" last week, as the band was performing a couple of songs. This first YouTube movie has Bagan demonstrating throat singing. The second one is "Four Seasons", the second tune that Hanggai performed on Vrije Geluiden. Did I mention http://www.zappafrenzy.com/ already? A superb collection of pictures. 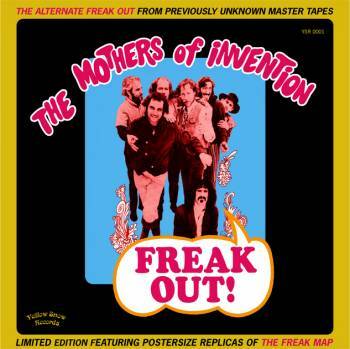 "ZappaFrenzy is a webpage for collectors and those, who are interested in Frank Zappa/Mothers and related singles. Everything from 7" to 12" maxi singles are covered here. This site is not intended to be a complete discography, but a database with images of labels and covers of every single we can get our hands on." Daniel Silverman's Gruppo Sportivo web page has moved. Here's a message from Fred Hemmer on the subject of Zappaween XV. Drummer and percussionist Marco Minnemann, who is touring with Adrian Belew right now, offered a fifty minute drum track / improvisation to various musicians, and asked them to compose music to it. Having a déjà vu? Well, that's probably because Mike Keneally was one of these artists. The Keneally / Minnemann collaboration was entitled "Evidence Of Humanity" and got released on MK's Exowax label a little while ago. Austrian guitar wizard Alex Machacek was one of the other artists that received Marco Minnemann's question. So here's "24 Tales", an album that uses the same drum track as that latest Keneally album. Alex Machacek experienced Marco's drum solo as 24 different pieces, hence the title. 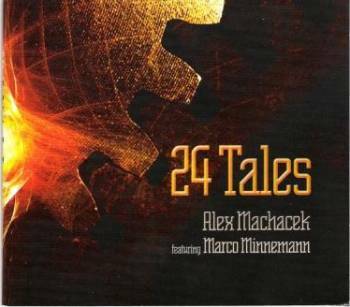 "24 Tales" is a beautiful, contemporary jazz / fusion album with a lot of zappa-esque twists and clusters. I think this is a great album. It reminds me a lot of FZ's "Jazz From Hell" !! Love the titles as well. There's 'Eau de Conlon', 'Anamika' and 'Sweet Torture' that might give you some clues, but there's also the 'Minnemaus in da House' (which even has some vocals). U.S. band Ugly Radio Rebellion performs the music of Frank Zappa. Here are the setlists of the two most recent DZPD concerts, including the London Roundhouse one. Here's Moon and daughter Mathilda with the DZpZ band (with Scott Thunes on bass). Somewhere between the various "download albums" and the recent CD-on-demand albums that The Residents have released, "Randy's Ghost Stories" saw the light of day. It's a DVD that tells the stories and shows the movies of Randy's little horror stories. It's a nice addition to the "Talking Light" series. Recorded at 'The Hammersmith Odeon' in London in 1978, this brand-new Zappa album shows a band that is in great shape, playing a great bunch of tunes. I'm listening to disc two right now ('Audience Participation' time), and this is fabulous. The discs got their premiere at the Roundhouse last weekend, and ZpZ is bringing copies along on tour. You can get if from the Zappa dot com site as well, of course. The Sun Ra Arkestra will be perorming at the 2nd Annual Nublu Jazz Festival in NYC on November 12, 2010. 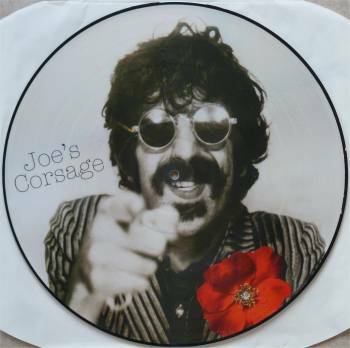 Early september, I mentioned that Zappa's "Greasy Love Songs" had been released as a vinyl picture disc bootleg. Actually, it was a series of three new counterfeit bootlegs that came out at the same time: "Greasy Love Songs", "Joe's Corsage" and "Joe's Xmasage". 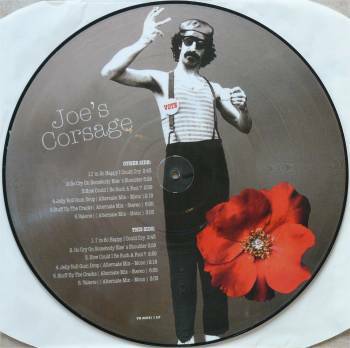 Each of these titles got the bootleg treatment and was released as a picture disc. But all three titles have also been spotted on multi-coloured vinyl and on plain black vinyl. 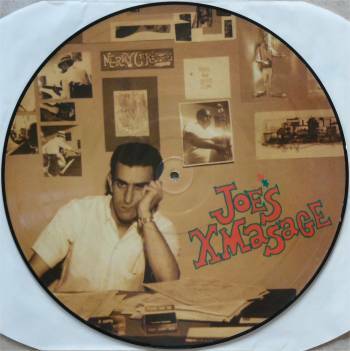 Here are the pictures of the picture disc vinyl bootleg of Zappa's "Joe's Xmasage". It also got released on multi-coloured vinyl and on black vinyl. 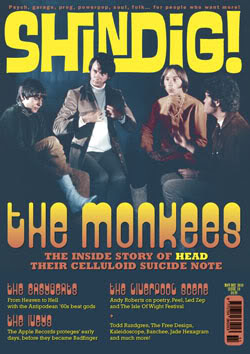 Volume 19 of Shindig Magazine has The Monkees on the cover. It also says: Rachel Lichtman and Andrew Sandoval take you inside the mysterious black box for an intimate look at the secrets and stories behind The Monkees' movie Head. Isn't that the little movie that Frank Zappa participated in? Wonder if he's mentioned in the article. Yesterday, it was Dweezil Zappa Plays Zappa that took the stage at The Roundhouse. Tonight, it's time for the London Sinfonietta. The London Sinfonietta promise a very special evening featuring the first ever UK performance of one of Zappa's epic and most popular classical pieces, with perfomers including actor Kwame Kwei-Armah as Greggery. Alongside The Adventures of Greggery Peccary, the London Sinfonietta play Zappa's Revised Music for a Low Budget Orchestra and pieces by two giants of 20th century classical music who inspired his own compositions - Pierre Boulez (Memoriale) and Edgar Varèse (Octandre). The performance also includes a solo set by multi-instrumentalist and Zappa band stalwart, Jeff Simmons. Jean-Luc Ponty's Zappanale concert is being seeded over at the Zappateers site right now. For me, this concert was the absolute highlight of the festival. improvised set at the Lo-Tek Studios in Mar Vista. The Theoretical Five were: Tommy Mars (keyboards,vocals), Warren Cuccurullo (guitar,samples), Arthur Barrow (bass), Larry Klimas (saxophone) and Andy Kravitz (drums,percussion). Two new Zappa vinyl bootleg EP's have been announced. The first one is called "Strictly Genteel / Black Napkins". Both tracks taken from the 1975 UCLA performance. The second one is called "While You Were Art II / Lakshi's Deelite / Black Page No.1". Three synclavier pieces. November 14, 2010, drum legend Han Bennink will be performing at 'De Singer' in Rijkevorsel, Belgium. Han was recently a guest in 'De Wereld Draait Door', a Dutch national TV talk show. We're all ready to go here - less than half hour to go. There's been a slight programming change. At 7.30pm the RMC will perform Wild Imaginings, then Gail will come on stage before the LCO perform Varese. The Residents have quite a number of new titles out through their Download Robot. "Lost In A Vacant Lot" is a sampler, and "Brava" offers a 2001 San Francisco concert. 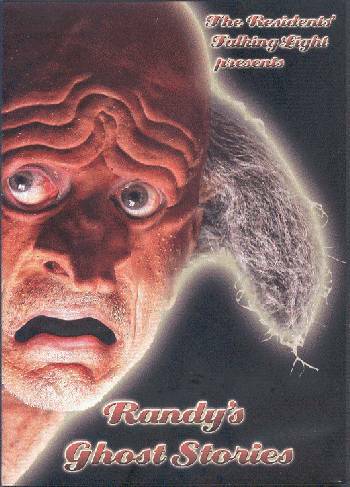 There's also a new DVD out: "Randy's Ghost Stories". For the moment, only available at the concerts. So get your live video streaming recording software out (don't ask me...) and record some of this stuff !! 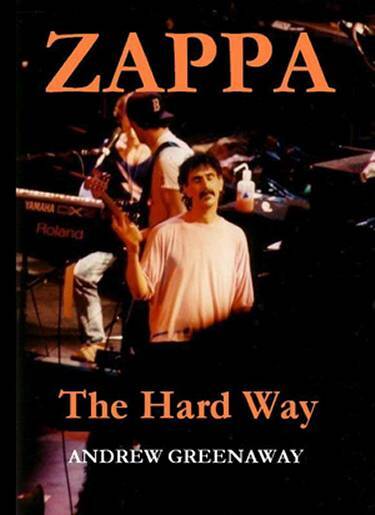 In "Zappa The Hard Way", Andrew Greenawy takes an in-depth look at Zappa's 1988 tour. The tour kicked off in February 1988 in New York City and continued on the U.S. East Coast until the end of March. From April on, the twelve-piece band performed in Europe. The band started in France and played some forty-plus dates all over the old continent. Eventually, this got so bad that Zappa decided to stop the tour after the last date in Europe. He cancelled three months of concerts on the U.S. West Coast, hence naming one of the albums that he released with 1988 material, "The Best Band You Never Heard". Zappa knew that touring makes you crazy. He had been caught in his own "200 Motels" and there was nothing he could do about it. 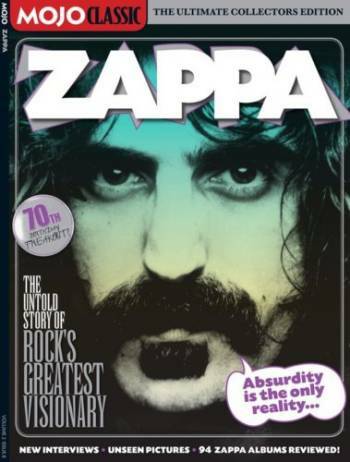 FZ was touring with what he considered the best band he ever had, and he had to quit. In "Zappa The Hard Way", Andrew does not look for answers. He does not point the finger at anyone. He just tells the story of a fabulous tour, spiced with interview fragments. This, my friends, is essential reading. Do I need to tell you that it includes the complete 1988 touring schedule & setlist for every show? Tomorrow, Saturday 2010/11/06, Andrew will be promoting his book in London. promoting his recently published book 'Zappa The Hard Way' that documents the last fateful tour that Zappa undertook in 1988. " cracked latin: the world is cracked latin! Cracked Latin is the strange little world of Lane Steinberg and his companion Luis Accorsi. The story goes that the two men would get together every once in a while for a cup of espresso. Hanging out, they would listen to some old salsa and Stones records. One thing led to another and they started making music together. When Michael Sheppard (of the Transparency label) heard the demos, a record was scheduled. “The World Is Cracked Latin” is a very fine album. It’s latin music (rhythm secion, horns) mixed with a nice dose of psychedelica (guitar & vocals). I have never heard anything like this before, and I love it! It will get you in a good mood !! Thanks to Hakon Busterud, I was able to add pictures of the rarest vinyl 45 in the history of Capt. Beefheart, the testpressing of "Moonchild/Here I am, I always am". There's only one copy known to exist. It was discovered in the vaults of A&M by Jeffrey Gold in 1984 when the preparation of the release of the The Legendary A&M sessions took place. "What is very interesting is that when you study the matrix numbers you will discover that this 45 was intended as the second CB 45 from A&M. Why they didn't want to release the 45 with 'Here I am, I always am' as the B-side and changed it with 'Frying Pan' is a mystery because I think both songs are good enough. If they had chosen 'Here I Am' as B-side on the release it would have been 'Frying Pan' that would have ended in the vaults. Both 45's use 1228/1229 as matrix numbers. The difference is that the Moonchild/Frying pan 45 has 1228-RE/1229-RE in the matrix. You can also see that there is a space in time between the intended release and the final one because the additional matrixnumber on Here I am is 63411 and the one for Frying pan is 63923 which 512 numbers later in the production."